My good friend and LeadershipChat co-host Lisa Petrilli has a valuable series going on her blog about Introverts Guide to Business and Leadership – she and I share a common bond over this topic since we are both professionals who seek to both leverage, and transcend, our native tendency toward introversion in our professional efforts. Her post this morning (The Introvert’s Guide to Getting Noticed in Business) sparked a thought about how introverts can successfully build a deep and strong network. Here’s your starting point: Make Your Own Rules. Specifically, use social networking tools and approaches to change the game to your favor. You know the standard “rules” that come to mind when you see the word “networking,” right? There are crowded social parties, artificial networking meetings, noisy industry conventions; and you, as an introvert, look at each of these with some level of trepidation. Because the networking “rules” you’ve operated under – the outgoing are the winners, casual chatter is how bridges are built, the more contacts you make the better – none of that fits you. No wonder it doesn’t feel natural. Use digital social networks to “pre-meet” people. LinkedIn, Facebook, Twitter, and other networks give you the opportunity to build bridges and engage in one-on-one small talk without those crowded environments so that the beginnings of a relationship are already put in place. Then, find a format to meet that person one-on-one – either over coffee, or during a larger gathering. Introverts tend to prefer a more intimate, in-depth, “safe” environment to get to know people. As Lisa states in her post, we prefer to go deep with a smaller number of people. Using social networks, you can meet new people, AND build deeper ongoing relationships, through the relatively safe and controlled environment of exchanged on-line messages. And, you can be far more targeted and strategic than walking into a big room and hoping you find someone with whom you have common ground. Digital social networks allow you to find common ground right now, without uncomfortable events, and to start to build a relationship that can later blossom in an ongoing way. Everything you need to find the right people in a targeted way is available through these amazing digital platforms. And here’s the not-so-secret secret – most people really want to have someone who knows them as an individual. People respond to the introvert way – deeper communication, one-on-one caring, thoughtful planning. Plus, if you take the time and trouble to “feed” the people in your network (something many introverts do quite naturally) with information and connections you discover – you’re golden. The fact is – introverts have a tremendous advantage. Just toss out the old rules and make your own. Take it from me, the naturally-introverted Connection Agent. If you network your way, you win! 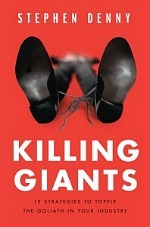 I recently had the opportunity to read through Stephen Denny‘s new book (pre-release copy), Killing Giants, which takes up the theme of effectively designing your business and marketing to take on the “big boys” in your marketplace. 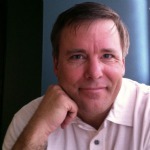 Stephen is an experienced marketer who spent over 20 years working with major brands before launching out on his own. I ran into him several years ago on Twitter and have always enjoyed his thoughts. He has been a regular contributor to LeadershipChat and he will be talking about his ideas on leadership with us this week (see below). Pulling my coffee out of the microwave, I managed to bang my favorite mug against the edge and shatter it, not only spilling coffee everywhere, but losing a symbol one of my fond memories. You see, I met my wife-to-be in Lake Placid during the summer of 1979, just before the “Miracle on Ice” Winter Olympics (still my favorite sports memory of all time!). We spent part of our honeymoon there, and have visited numerous times over the years, always happy to re-live the memories, and to introduce our kids to the sights and pleasures of that little Adirondack getaway. 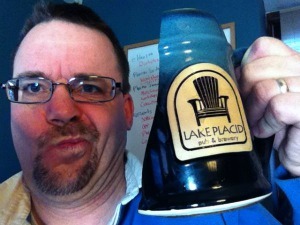 Last summer, we had the pleasure of enjoying lunch at the Lake Placid Pub and Brewery, and there I spotted a mug similar in shape and size to one I’d purchased in LP way back in ’79. So, I bought it. Then, a few weeks back, broke it. And that, my friends, is how to use social media to delight customers. Happily, our local libation store now carries Lake Placid Brewery Ubu Ale, so I’ll be enjoying some of it this weekend. This spring will be our 30th anniversary, and this summer the 32nd anniversary of our meeting in LP. It’ll be a little bit sweeter knowing that Lake Placid is not just a far-away memory, but an up-to-date source of gladness! 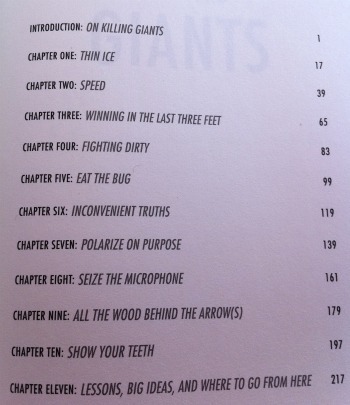 According to Les McKeown – yes, it can. 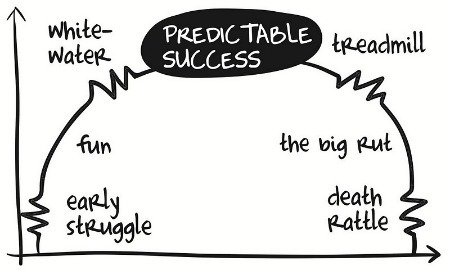 His book, Predictable Success, explains in step-by-step fashion just how that is so. On #LeadershipChat this week (Tuesday, March 22, 8 pm ET) Les will be joining us to talk about Why Leaders Fail. And one surprising perspective is this: failure may simply be a function of not understanding the phases a company goes through. My #LeadershipChat co-host Lisa Petrilli has given a very nice summary of the content and message of the book (Lisa’s blog post here), so I’m going to focus, in this book review, on something different. In a word: Narrative. I was struck right away, in the Preface to the book, how Les was telling a story – his own story about arriving at the conclusions he’s come to. Then, throughout the book, he uses narrative – telling the stories of businesses and people that illustrate the meta-narrative – to make his points and keep the reader looped in. But, ultimately, Les’ entire thesis about the way businesses evolve is one big narrative (see the graphic below), and that is one of the major appeals of his book. Narratives help make sense of that which is confusing. I’m sure it may seem simplistic to some, but Les gives a pretty convincing case that there is a predictable arc in how businesses can grow into success, and decline into failure. Fact is, I have seen and been part of Early Struggle, Fun, and Whitewater stages, and his narrative regarding those common experiences is eerily spot on. Please join Lisa Petrilli, me, and our guest Les McKeown for our table talk at LeadershipChat (8 pm ET this Tuesday evening). It’ll provide a wonderful excuse to get off the Treadmill! Free Books – Tonight Only! 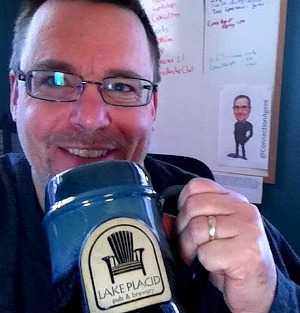 As a little bonus for the folks who gather at #LeadershipChat on Tuesday nights (what? you haven’t joined in yet??? 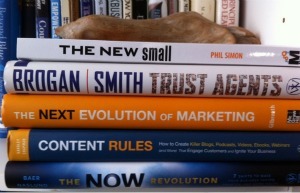 8 pm ET on Twitter – hashtag = #LeadershipChat)), I’ve got giveaway copies of five top marketing/social media books. 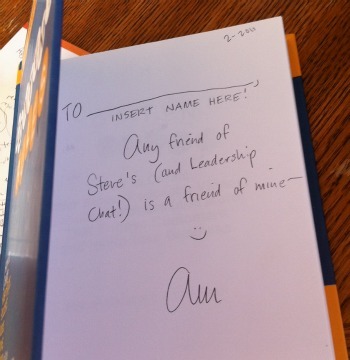 Extra bonus – Content Rules has been personally signed by Ann, directly to you – whoever you are! So, join us for a lively discussion during #LeadershipChat tonight (Open Mic – any topic you wish to talk about) and see if you can win one of these brand-spanking new books for yourself, or for someone you know. 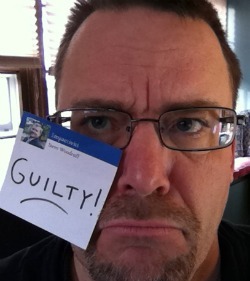 Be sure to read beforehand about a Most Unusual Tweetup, from my co-moderator of LeadershipChat Lisa Petrilli. Please note: due to postage considerations, winners need to have an address in the U.S. or Canada. When I’m as wealthy as all of these authors, maybe I can send books anywhere around the world…(OK, by then books will be holograms, but still…). Do We Need to Put Up with This? >> Business is increasingly being encumbered with regulations, processes, lawyers, and fears. Do we* need to put up with this? >> The cost of business development/sales is huge. Do we need to put up this? >> The landscape of providers is littered with the unscrupulous and incompetent. Do we need to put up with this? >> The best people are scattered about in a patchwork quilt with only the loosest of ties. Do we need to put up with this? >> Talent-stifling, hierarchical organizations/corporations dominate how business gets done. Do we need to put up with this? Sorry, Inc. Magazine, but I don’t feel at all bad about having no employees. Not. At. All. Why shouldn’t people avoid the economic “responsibility” of hiring employees when our governmental system of burdensome business bureaucracy provides every disincentive to do so? It is my stalwart intention to remain a solopreneur. And here’s the point missed in the Inc. article – in these days of networked communications, it is so easy to automate certain tasks and outsource others, that often there is simply no NEED to hire employees. On the other hand, my purpose in the role as Connection Agent is to facilitate MORE employment by MORE people who can become solopreneurs based on their best abilities, through the multiplying power of trusted referrals. I don’t want to manage people. 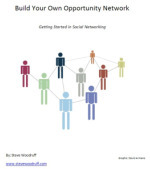 I want to help them succeed through organic networks. We should welcome this development, and encourage guilt-free solopreneurship. Self-employment is a liberating trend, not an economic negative!